An arboretum collects, grows, and displays trees, shrubs, and other pants for people to study and enjoy, and is open to the public for education and inspiration. 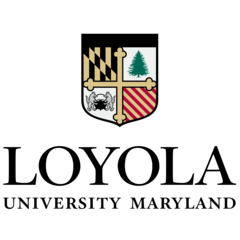 In 2013, Loyola University Maryland was designated an accredited arboretum by the Morton Register of Arboreta for the University’s dedication to nurturing and preserving dozens of tree species on the Evergreen campus. By achieving high standards of professional practices deemed important for arboreta and botanic gardens, the Loyola University Maryland Arboretum is now recognized among other professional public gardens all over the world. Today the 80-acre Evergreen campus boasts more than 2,200 trees that represent 84 varieties. The arboretum area that is most accessible to the public is the academic quadrangle, where a self-guided tour includes a mixture of mature “monarch” trees from the original forest, trees planted in the past few decades, as well as a number of relatively large caliper trees planted in recent years. Anchoring the quadrangle on one end is the Humanities Center, a 19th century Tudor mansion; on the opposite end is the historic Alumni Chapel. During the short walk between these two campus landmarks, one can find more than 20 kinds of trees as well as many beautiful shrubs, ornamental grasses, and seasonal plants. On the south side of the chapel, a row of stately pin oaks leads to the September 11th memorial consisting of an inscribed wall, benches, and a fountain surround by Crepe Myrtles, providing a beautiful, serene area for quiet reflection. This is a great tour for educational or casual enjoyment. Nice tour for casual and/or educational enjoyment. Nice tree descriptions.